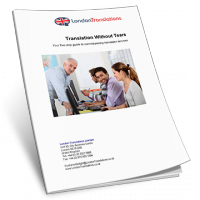 Through our Aon colleagues in UK, we received a translation work from London Translations and were very pleased about the good work and also the perfect layout. We therefore used Aon Translations for the first time out of Germany and have to say that although we were running a tight deadline, the service was excellent and in time. 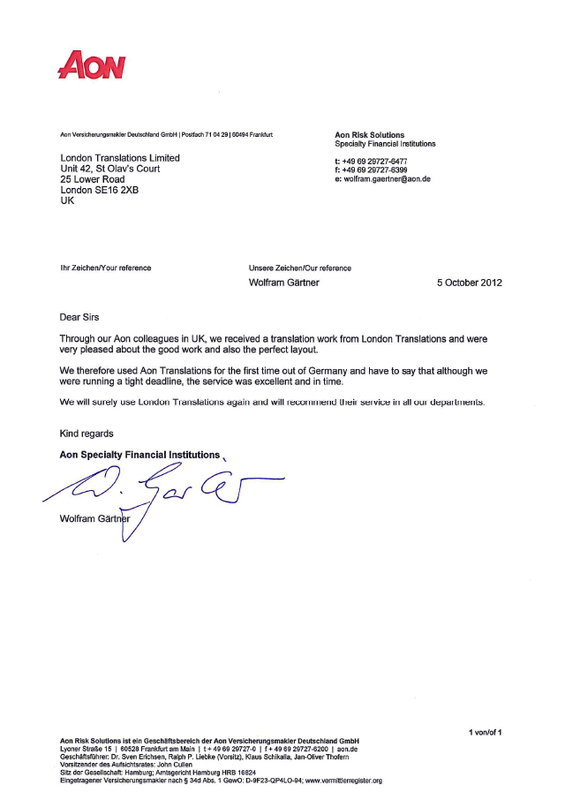 We will surely use London Translations again and will recommend their service in all our departments.